Like a recurring theme in a long-running play, the United Kingdom Gambling Commission (UKGC) is again waving the punishment hammer and threatening online gambling operators who continue to apply unfair restrictions to customers’ withdrawal requests. 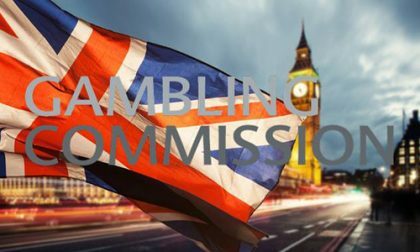 The latest rumbling of thunder from the Gambling Commission comes just days after the UK’s Competition and Markets Authority announced it had reached an agreement with two such operators who have been found in continuing violation of the UK’s consumer-protection codes. According to the UKGC, “The CMA has published enforcement action against two gambling firms, which have now committed to make changes that ensure customers are not unfairly prevented from withdrawing their money. All gambling firms are now required to adhere to the standards set out by the CMA.” That referred to the action taken by the CMA against online-casino operators Jumpman Gaming and Progress Play. Both of those operators had forced customers to make withdrawals in installments rather than in one lump sum, as any reputable site with customer deposits held in escrow should be able to offer. Paul Hope, Executive Director at the Gambling Commission, offered this: “We are committed to raising standards for consumers in the gambling sector to ensure they are getting a fair deal. We’ve already been working with the CMA to tackle unfair online gambling promotions, and today’s announcement will improve how customers are treated. Perhaps Jumpman Gaming and Progress Play were making a last-moment grab while the grabbin’ remained good; the sharpened rules given the UKG even more enforcement powers won’t take effect until the end of next month. That’s still no excuse for the generally seedy appearance of trying to force customers to take a withdrawal on an installment schedule. That’s the sort of runaround one would expect from some lowly Curacao site using customer deposits to pay for the site’s operating expenses, hoping it all works out in the end. Such practices have zero place in a top-level regulated regime such as that in the UK. Online gambling companies shouldn’t confiscate your money because you haven’t logged on or played on their site for a particular period of time, but they can charge cost reflective fees after 12 months of inactivity as long as these are clear and they attempt to return your money first. Online gambling companies are obliged to confirm your identity but they can’t confiscate your money where you have not provided ID documents within a particular period of time. Over in the CMA’s parallel do’s and don’ts publication for operators, it’s back to the same old drumbeat. The do’s generally have to do with continually referring the terms of all offers and conditions, rules governing deposits, withdrawals, and bonus offers, and so on. Operators have less than two months to take the UKGC’s message to heart; the agency has been shoring up the industry for several years in the face of significant consumer complaints and a general sagging of trust in the sector. As a result, the UKGC license has become one of the hardest to acquire in the industry and likely the best indication that an online casino is fair and trustworthy. The sector generates almost £5 billion in annual business in the UK, and the reigning in of unfair practices was, to many onlookers, long overdue. The Gambling Commission has built up several years’ worth of energy aimed at reshaping the sector, which means these waves of crackdowns and general rules-tightening won’t be slowing down any time soon.